And another small town that I have fallen in love with. Or perhaps I should say that I have fallen for a few of the residents namely Truman, Mercy and most of her family though this book has added a few more onto that list. 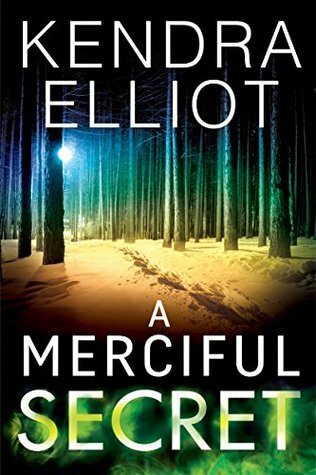 A MERCIFUL SECRET is the third book in the series that has kept me entertained and glued to my iPad. What really sets this book apart from the rest of the series is the leaps and bounds that Mercy grows in this book. She closed down emotionally when her father disowned her when she was eighteen. She was able to let Truman in some but wasn't able to completely trust him. Until this book and some of the happenings which force Mercy to look inside and face her fears. I do highly recommend this book to any lovers of romantic suspense though if this is your first one, I do recommend that you start at the beginning of the series as it will add depth to the characters. 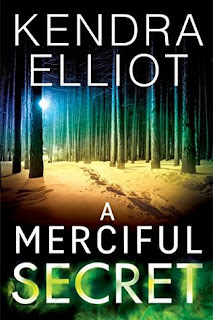 A MERCIFUL SECRET has an interesting plot that brings in Wicca and witchcraft with enough twists and turns that you won't want to set the book aside until the very end. Followers of the series will get a chance to check on on some of their favorite characters and if you are not a follower, well what are you waiting for?